« Are Well-Meaning but Misguided Conservatives Being Seduced by the Value-Added Tax? If Republicans fall for the Dems support to raising any tax they will suffer the same fate as George H. Bush who didn’t get re-elected to a second term based on his quote ” Read my Lips No New Taxes” unquote. a Pox on both political parties if they succeed in fooling Americans again to this takeover of our economic freedoms and liberty through new taxation. President Eisenhower took the position that the top tax rate of 91% should not be lowered, until the Korean war had been “paid for”. However, Kennedy recognized that at such a high rate incentives disappeared. His proposed lowering of the top rate to 70%, eventually caused an explosion in revenue growth. 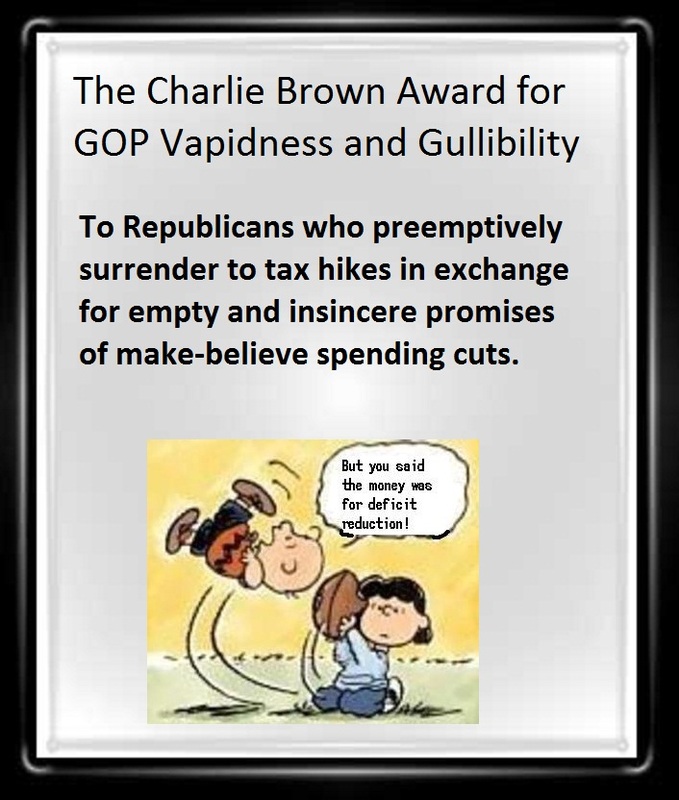 “Read My Lips” Bush agreed to tax increases, but got a “Charlie Brown” on promised spending cuts. If Jeb Bush wants to be an Eisenhower Republican or follow daddy Bush’s mis-steps, he won’t get my vote. VAT would be the kiss if death to Anerican prosperity. Convergence to a unified trajectory of decline with Europe would be quick. On a personal level: Stay mobile. Be loyal to American principles, not the flag. Neither of their proposals are really relevant because they are hypotheticals that never manifest themselves into a concrete realtity, neither of which: 1. Lower taxes, and 2: Lower government expenditures. Certainly a case can be made for a constitutional amendment that limits taxation, but NONE of our politicians are willing to take a leadership role to make this happen. Inevetablly what continues to happen is increased taxation and increased government spending, with the acquiesence of both Republicans and Democrats. In a nutshell, these policies of taxation will unconstitutionally destroy our republic. We must remember that our founding fathers did not allow taxation of the people because they had forseen the demise of the republic if the government was given the power to directly impose taxation upon the people. They rebelled against taxation without representation. Now today, we have taxation without limitation.